Our metal hangers are durable and have a flat design which will save space. 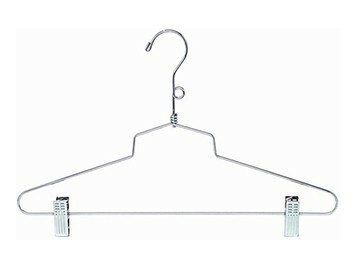 We have vinyl coated metal hangers to use for all your fine fabrics for protection. 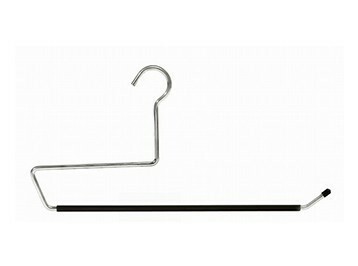 These polished chrome hangers are perfect for traveling salespeople, retail stores, and trade shows. Space saving and economical they are easy to transport and are very durable. Polished chrome metal hangers are sleek, stylish alternatives to wood for merchandising or the home closet. These clothes hangers are durable, stylish and space saving due to their flat design. 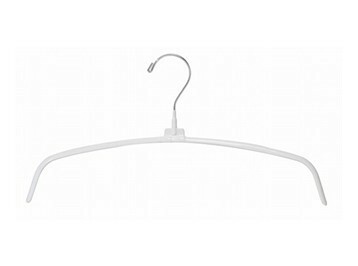 Keep your clothing on the clothes hanger with our Non-Slip Vinyl Covered Metal Hangers. Your delicates and knitwear won’t pucker at the shoulder. 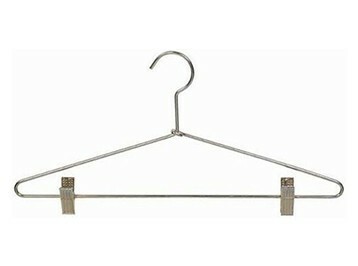 These space saving hangers are great for hard to hang items and delicates and come in three colors. This collection of oversized, heavy-duty hangers make an excellent choice for storing and organizing bedspreads, comforters, blankets and sleeping bags.